If you are tired of working for someone else and exploring opening and running your own small business, you are probably confused about the multitudes of available business possibilities. To make matters worse, authoritative voices differ in their opinions of whether opening a major franchise business is preferable to starting an independent business. As an owner of nine franchise businesses, I have personally experienced the benefits as well as the limitations of opening and running franchise businesses. 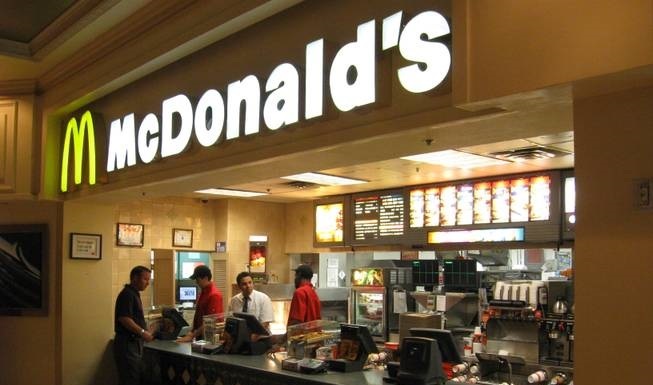 The following is a list of pros and cons of owning a major franchise business. 1. Pre-existing building layouts and decor requirements lesson start-up confusion and facilitate quicker and easier start-ups. Many pre-existing franchisors The Franchise Giver Big Daddy usually equip their new franchisees You The Little Fish with possible layout and decor drawings and requirement spec sheets, thus taking the guesswork and hassle out of trying to figure out how you are going to build-out and equip your new business. 2. Franchise agreements and structures set up to save you money on business, service or food products. Because of the greater number of franchises, Big Daddy usually has arranged cheaper national contracts wherein you can get certain services, business or food products at a significantly reduced price. You get to save money. Well known, established franchises typically have a National Advertising campaign in place that provides TV, radio, and printed material advertising. This way, you don t have to spend a lot of your own money locally advertising your business. Who has not heard of Baskin Robbins, Subway or GNC? If you haven’t, you’ve been living in a cave. Franchises typically have wonderful name recognition benefits to them. In other words, people will actively seek out a particular franchise wherever they go. 5. Potential for higher sales. With the national advertising campaigns and name recognition, your franchise business has a better potential for much higher sales than a similar business with a no-name, no experience rating history. 1. Loss of creative control over business layout and decor appearance. The benefit of being told where and how to build and place everything comes with loss of freedom you may want to express your creative decorative expression in your business. If you want to decorate your business with freedom, research the franchise decor rules and regulations before you purchase a franchise. 2. The products and/or services you provide are regulated and controlled by Big Daddy . These cheaper prices are usually accompanied with regulation and control by the franchisor as to what type of products and services you can or cannot purchase. In other words, Big Daddy tells you what you can or cannot buy and from whom. 3. Loss of promotion/advertising freedom. Great national advertising promotions are typically accompanied by blanket: You will promote this product or service during this campaign ruling. Hopefully, their advertising campaigns will make sense, won t cost you too much money, and bring in more business. Sometimes it works and sometimes it doesn’t. 4. Customer holds other franchise experiences against YOU. If a customer has had a bad experience at one franchise location, he tends to hold all of the other franchise owners responsible for that one bad experience somewhere else. In other words, I ll never go to another Subway because I didn’t like the meatball sub I got at Joe Blow s location. 5. Handing over a percentage of your sales to Big Daddy . Yeah, higher sales! But ouch, you have to hand a large bulk of your sales over to Big Daddy . For every dollar you earn, your franchise fee rips away anywhere from $0.04 to $0.25. Pull your wallet out and hand it over to Big Daddy . As with any situation in life, there are resulting pros and cons. Simply study the nature of the franchises completely and talk to other franchise owners to get a feel of whether you will want to purchase that particular franchise. If it s a good fit, go for it! Good luck and good business! As a Mind Power Leadership coach, trainer, and speaker, Ronya Banks has been teaching others how to become leaders and business owners since 1992. Frequently featured in radio, magazine and newspaper articles and interviews, Ronya helps people find the great leaders within by accessing the natural power of their minds.